Biblical theology attempts to embrace the message of the Bible and to arrive at an intelligible coherence of the whole despite the great diversity of the parts. Or, to put it another way: Biblical theology investigates the themes presented in Scripture and defines their inter-relationships. Biblical theology is an attempt to get to the theological heart of the Bible. Now, let me explain why I believe that the discipline of biblical theology is of utmost importance. Most seminary students are required to complete courses in Old Testament, New Testament, and Systematic Theology. Many of these seminarians exit their studies with a good grasp of the two testaments on their own, and a good understanding of systematized theological subjects, but have a hard time putting it all together. To add to that problem, these seminarians graduate into pastoral ministry contexts and begin perpetuating a segmented understanding of the Bible throughout the Church. Great stuff mate. I hope you don’t mind, but I’d like to re-blog this on my site, wordfocused. As I once heard it described, “the sweeping narrative of redemptive history” must become the life-blood by which we live and breath the Scriptures. I came across Matt’s blog this evening, among his many insightful posts was this gem. Enjoy! Good stuff. I am teaching a church course on Biblical Theology. 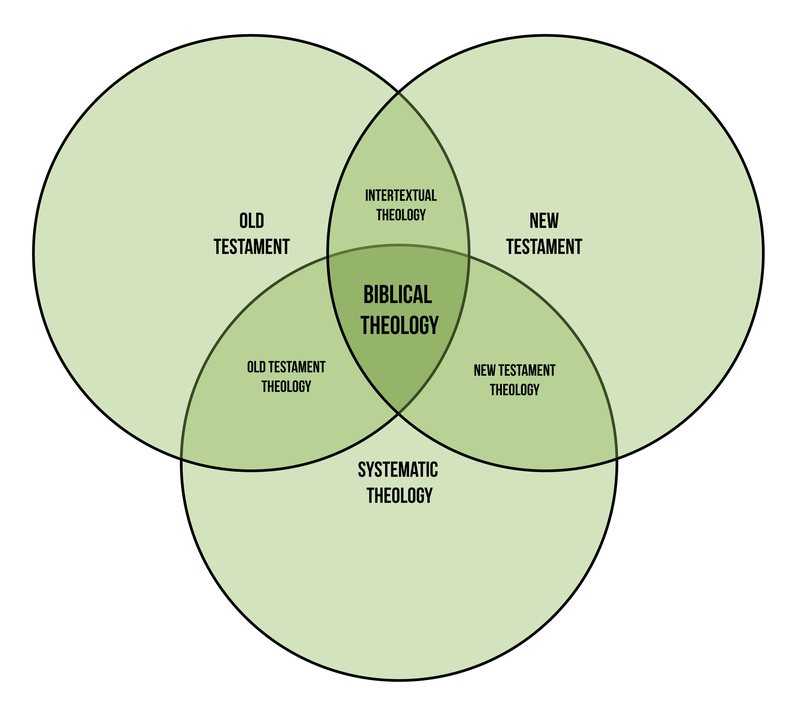 Wondering if I could use your diagram in an explanation of what Biblical theology is.